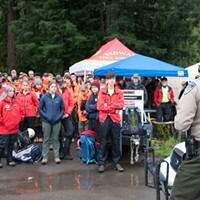 A search and rescue team from the Piercy Volunteer Fire Department was the first to find the girls. Here's a photo from the scene. “I’m pleased to say that we’re all witnessing a miracle today — Caroline and Leia have been found safe and sound,” Honsal said before heaping praise on the more than 20 agencies who responded to help with the search effort that ultimately found the girls about 40 hours after the children entered the woods. Honsal said the girls were found by the chief of the Piercy volunteer fire department and another volunteer, who were following some tracks in the search area heading south. The girls were found about 1.4 miles from their residence, where they were last seen at about 2:30 p.m. Friday, close to Richardson Grove State Park. The girls are “ambulatory, in good spirits and not injured,” according to Honsal, adding that EMTs were standing by as the girls are reunited with their family in case they need any first aid. A video stream of the press conference cut in and out so some questions remain unanswered. We’ll try to provide additional information as we can get it. The two young sisters missing since Friday afternoon in the woods near Benbow have been found alive after more than 44 hours alone in the forest, according to a text message from their mother to local reporter Kym Kemp. A source close to the search who isn't authorized to speak with the media confirmed that the girls have been found and are "alive and well." 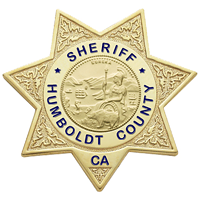 The Humboldt County Sheriff's Office is readying to announce the news at a press conference slated to begin shortly. 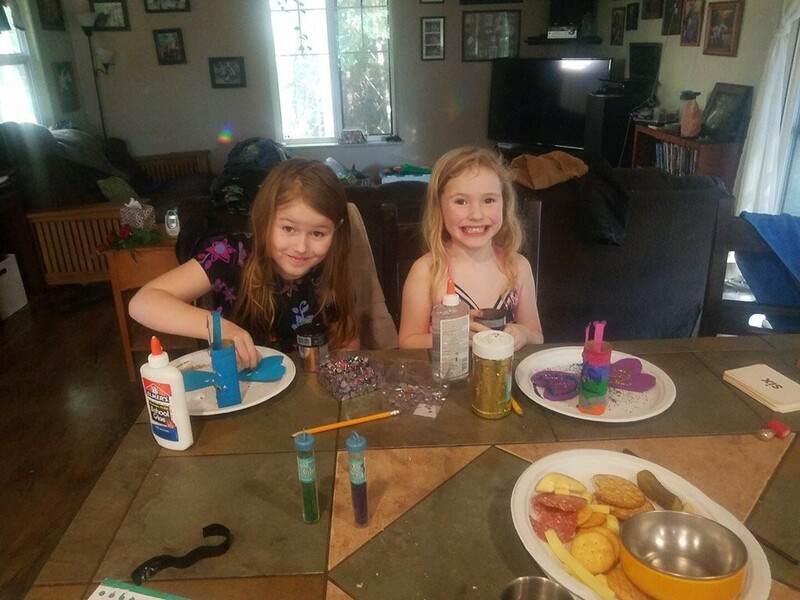 More than 20 agencies were on scene this morning to search for Leia and Caroline Carrico, 8 and 5, respectively, who were believed to have wandered off into a deeply wooded area of forest adjacent to their house on the 3300 block of Twin Trees Road between 2:30 and 3 p.m. Friday. The girls' mother, Misty Carrico, reported that they had asked to go for a walk and she'd told them she wasn't ready yet, only to find them gone about 30 minutes later. 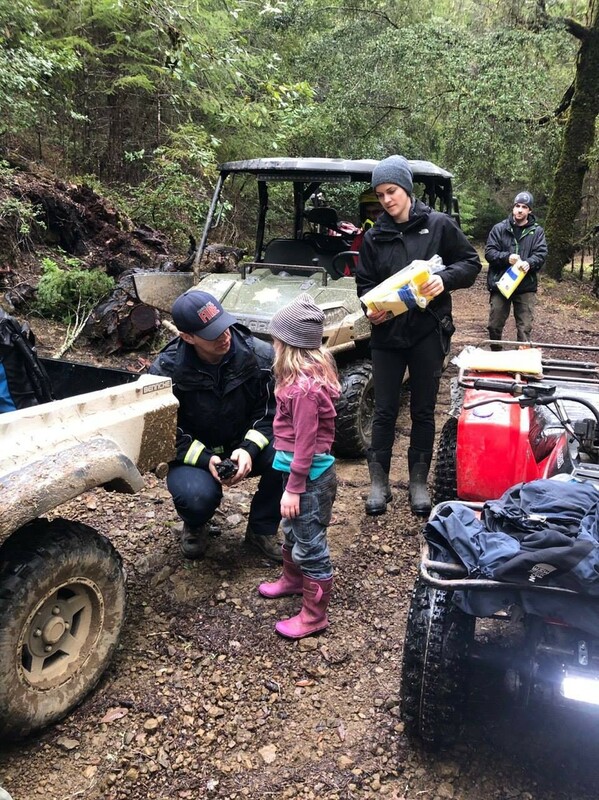 Family and neighbors searched throughout the afternoon, finally calling the Humboldt County Technical Rescue Team and the Humboldt County Sheriff's Office around 6 p.m. Friday. Both agencies quickly launched a search effort that continued through the night and into Saturday morning, when they were joined by an onslaught of additional resources and personnel. At least 10 teams searched the area throughout the day yesterday, with the help of National Guard satellite technology designed to guide the teams' movements. The teams found a few signs of a hope — some granola bar wrappers matching the type kept in the girls' home and some small bootprints believed to have been theirs — but nothing more substantive. Teams searched through the night, driving a network of dirt and rural roads through the area, shining floodlights, with additional search teams ready to deploy on foot at any sign of the girls. But there were none. This morning, more than 20 agencies, two helicopters and at least six scent-tracking canines formed search teams that were readying to deploy throughout the area. According to the National Weather Service, temperatures dipped to about 50 degrees last night, with some drizzly conditions. Friday night saw lows around 45 degrees with periods of heavier rain. We'll update this story as additional information becomes available.